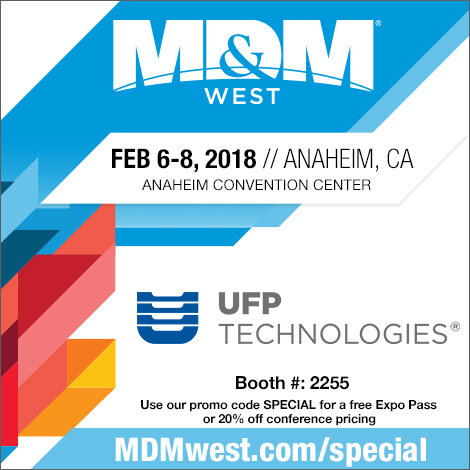 January 22, 2018 – Newburyport, Massachusetts - UFP Technologies, a producer of innovative, custom-engineered packaging and components for medical devices, orthopedic implants, fixation devices, and surgical instruments will be exhibiting at MD&M West from February 6-8 at booth #2255. UFP Technologies strives to deliver innovation across the medical industry by designing solutions to protect sterile devices, enhance patient safety and comfort, minimize infections, and promote healing. At this year’s show we will be displaying FlexShield® sterile barrier packaging, soft casting and bracing, positioning devices, fluid management components and more. 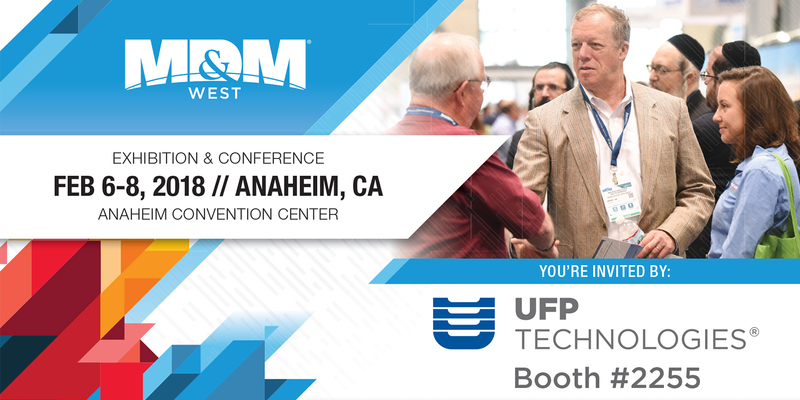 Visit www.MDMWest.com/special and use the promo code SPECIAL to receive a free expo pass or 20% off a conference pass.